Another one for fantasy fans and another trilogy. Philip Pullman brings us his Dark Materials, Northern Lights, The Subtle Knife and The Amber spyglass. 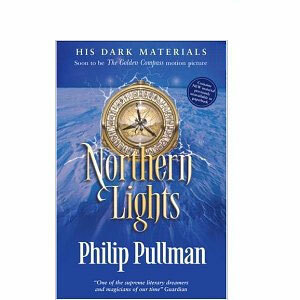 Northern Lights was made into the film ‘The Golden Compass’ but don’t let that put you off. As with most films that have come from a novel, they rarely do the book justice, which is the case with this. The book is set in a parallel world to ours where 12 year old Lyra embarks on a fantastic adventure which takes her from Oxford to Svalsbard and beyond. The first couple of chapters are slow going but don’t give up. You won’t be disappointed. Get your copy here.